Another very quick week this week with not a day with nothing to do, I long for a day with nothing to do. 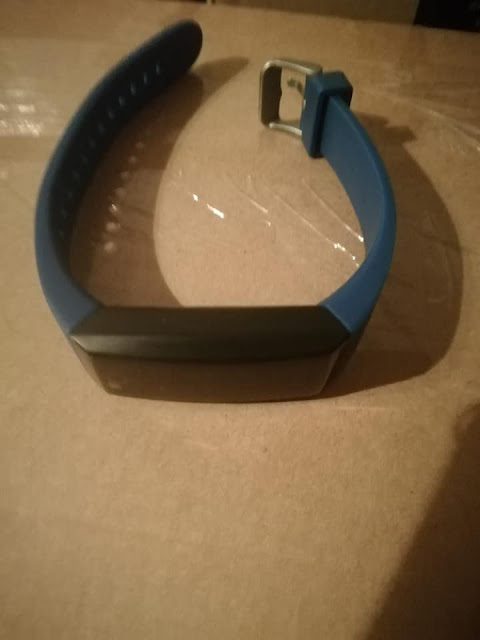 Sent back my last health tracker as it was rubbish, so swapped it for another one, an HEPT, so far so good. Have to say the seller of the last one is not amused at my 1 star review and has offered me anything from his online shop if I change it to a good review......I have resisted the offer. Had some shopping to do so used my money off voucher from Sainsbury's and stocked up on tims and cleaning stuff while I was there. 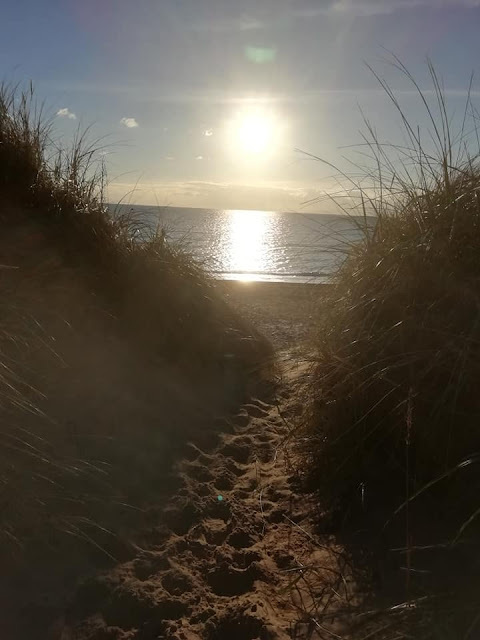 Took the dog a run round the beach park first.Liked the view of the sun going down through the dunes. 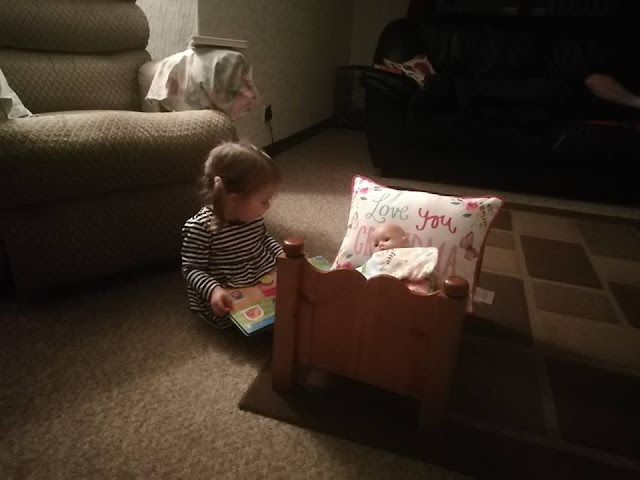 DD2 came down this afternoon as her and DD1 are going to their Maternal Grandmothers funeral tomorrow. I got my electric bike delivered this afternoon for the two week trial. Hoping to get out on it every weekday while I have it. Here is Ziggy singing a song to her doll. Didi video this and pop the video and a couple of others on my Facebook timeline. The two girls are going to the funeral just after noon today. So this morning hubby and I went to Auchincruive, hubby to walk the dog and me to try out the bike for the first time. Quite a bit of the ride I did was off road, not sure if it is meant for that but lets just say with all the rain we have had both the bike and I came back muddy. Not sure how far I went as mapmywalk does not seem to work right with my phone and it told me I had done 0.22 miles, but must have been at least 5. Went down to DD1's to look after Bob, Spud and Ziggy. 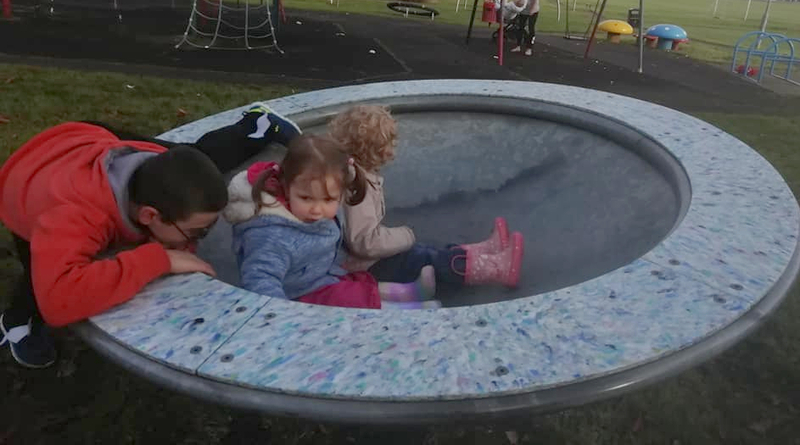 Gave them lunch and went to the park for an hour. Brought them back and the two girls went for a sleep. Woke them up when Fifi and the gruesome twosome came in from school. They all had an early tea as DD1's children were going out trick or treating. Fifi is really good with all the younger ones and did all their face painting and helped them get their dressing up clothes on. As soon as their dad came in from work they all went out and Ziggy and I came back up to my house where I did supper and bedtime. DD2 was heading back home early as she had a courtesy car and had arranged to pick her car back up on the way through Glasgow to save her having to come back for it at the weekend. I took my bike into Ayr and tried it out on a nice hilly cycle path to see how well it coped with the hills. 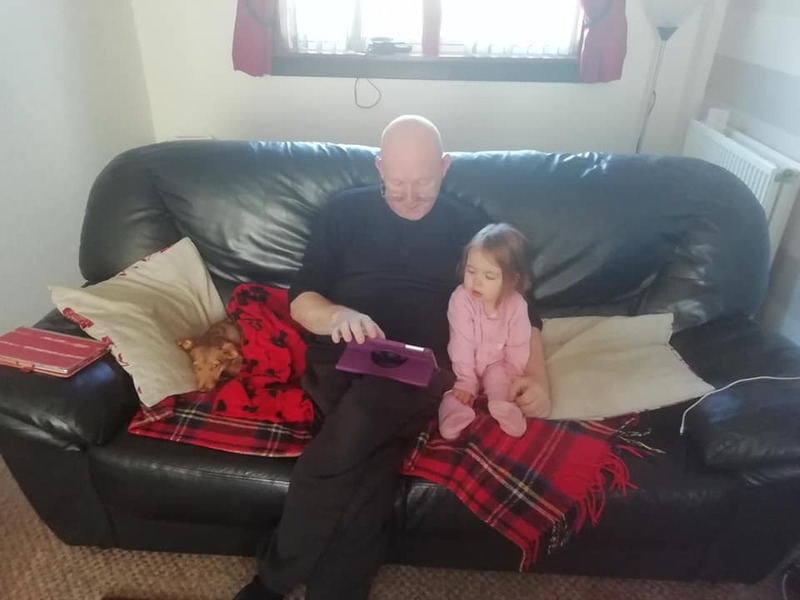 Here is granddad amusing Mia while mummy goes for a shower. Got a phone call from the surgery this week to make an appointment to see the GP with regard to the hospital tests. Still none the wiser but they are treating it as a vascular problem until they can rule that out so started me on a low dose of statins. Thumb is really irritating as it is icy cold most of the day and night.My cholesterol is not high but apparently bringing in down can only be good.Dubious about this as these can have side effects, like any tablet I suppose. Dropped the car into the garage on the way home as we are having an issue with it, parts to be ordered and fitted on Tuesday. Popped back in by bus to pick it up and then had Bob to pick up from gymnastics. Annoyingly it meant I did not get out on the bike as could not leave it in the back of the car while it was in the garage. Have done a lot of cross stitching over the last 3 years and are running quite low on threads. Just about finished Spud's blanket but still got one to make for DD2's baby that is due. 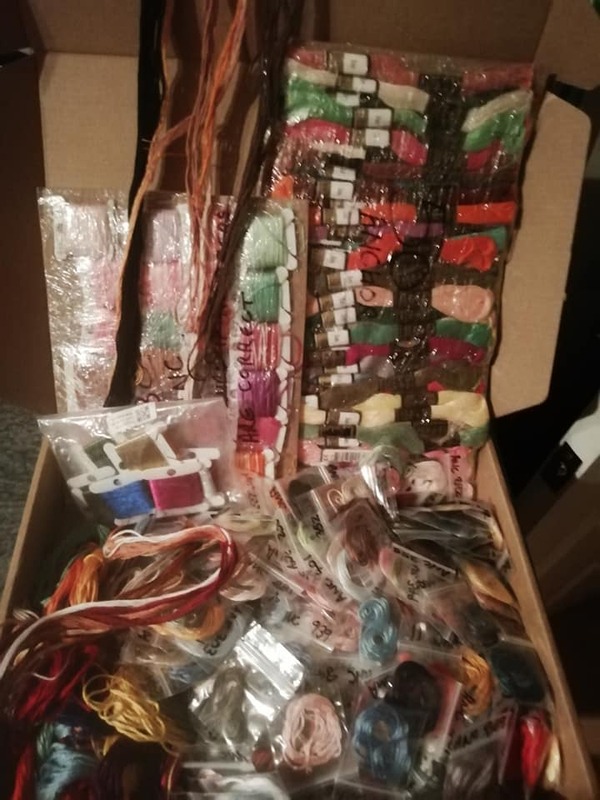 So I saw a woman on ebay selling various lots of threads and so bid on quite a few of them. Won more than I may need but the whole lot has cost me less than the 50 new ones would have done. A lot of what I stitch is made up as I go along with no set design or colours so this is an idea bundle for me. Some nice metallic threads which I will use for the writing on the blanket as well as some very nice variegated threads. I quite like the effect these give. It sounds like a buy week with the children. Sorry to hear you haven't had any answers on your thumb yet. I hope the tablets help and don't have any side effects. That's a great selection of threads! brilliant selection of threads, I am over the moon with them. It was a busy week. The blanket is a tartan car rug that must be 20 yrs old but saves the dog marking the leather couch. Yes there was no love lost between me and her and she cut us all off many years ago. Sad really she missed out on so much that I get to enjoy with my grandchildren. Not got as much use out of it as I was hoping due to an issue with the car. What a cheeky seller! Goon on you for resisting his offer. That beach photo is really good. It looks so peaceful. his offer was easy to resist, I will not be bought and more to the point have other people disappointed if they bought theirs on the strength of my review. You have had a busy week with the kids. 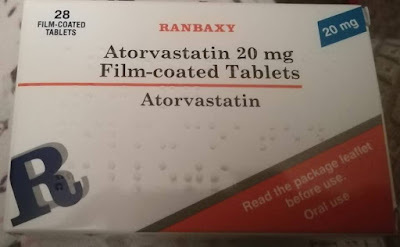 Hope you get some answers on the thumb - statins seem to be given out like sweeties sometimes and I'm not sure they are always necessary. I am not so sure they are the answer either but until I get an explanation I don't think they can do much harm for a few weeks. aahhh thank you, the sun just so happened to be reflecting nicely as we came over the hill and it looked lovely, hence the snap. Oh no sorry you are still having issues with your thumb! Sounds like a lot of time was spent with the grandkids this week! Lovely photos of them! That sure is a lot of thread!